While the traditional image of Thanksgiving revolves around a home-cooked meal, the National Restaurant Association recently found that 15 million Americans plan to dine out on the holiday, and that number is only expected to rise in coming years. If you choose to stay open for the holiday, Thanksgiving Day can be a major revenue generator for your restaurant. But like any special event, Thanksgiving service must be thoughtfully planned. We spoke to a few hospitality pros to get their top tips on how to plan, promote, and execute a successful Thanksgiving for your restaurant. Thanksgiving Day at your resturant can be a beautiful and busy service if planned and executed smartly. Coming together with family over the holidays can create anxiety for a lot of people. As a restaurant, it’s your job to make sure every single guest is taken care of and leaves feeling their best. “Having great food, service, and ease of booking is standard,” Jennifer Berman of AMMO Catering says. That experience starts at booking—make sure you have a system set up to make this process seamless. One way to do that is to have a private event inquiry form or a ticket form right on your website, depending on your Thanksgiving Day offerings. A private event inquiry form is great if you offer private seating or dining experiences and a ticket form is great if you have limited seating available and want to offer your Thanksgiving Day Service as a ticketed event. 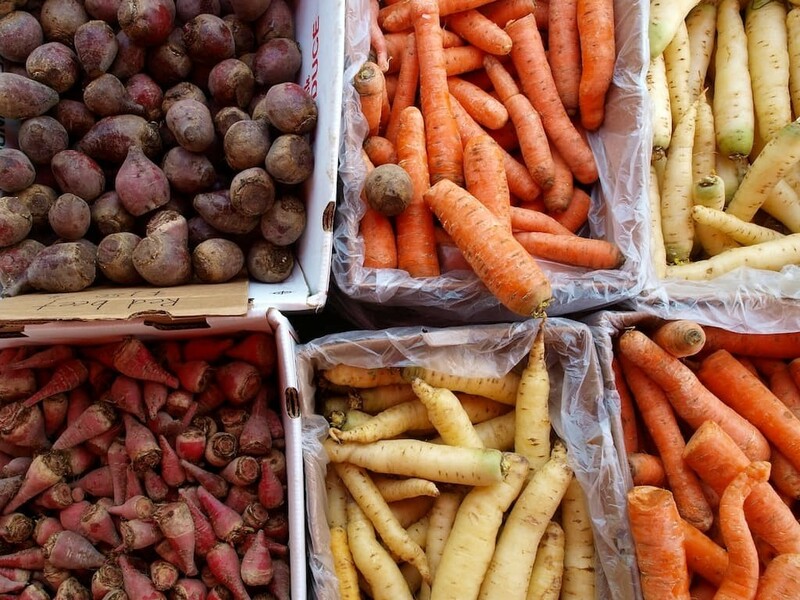 Fresh root veggies offered at AMMO. Great food starts with great ingredients. At the end of the meal, leave something special when you drop the check, like holiday cookies for everyone at the table. Paying extra attention to hospitality from start to finish will ensure your guests leave feeling thankful to you for taking such great care of them. If there’s one holiday that is all about food, it’s Thanksgiving. Diners will expect to see the classics, like turkey and stuffing, but that doesn’t mean the meal has to be boring. 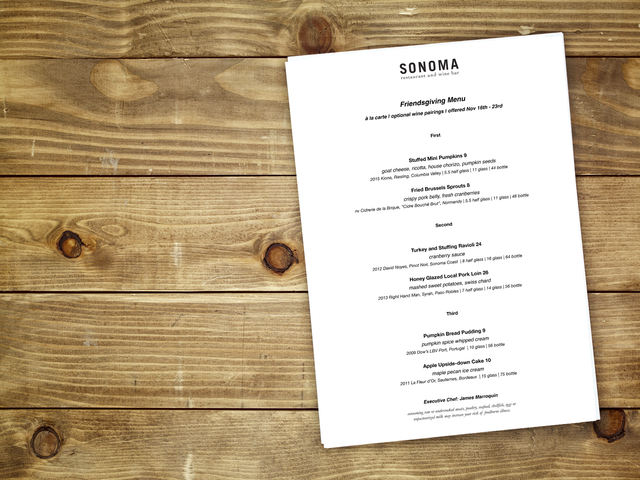 Sonoma's Friendsgiving menu is full of creative spin-offs of traditional Thanksgiving food. “Our chef James Marroquin prepares a special "Friendsgiving" menu by putting a modern spin on traditional classics” says Karima Ouazzani, General Manager and Marketing Director of Sonoma Restaurant and Wine Bar. “His menu includes dishes like stuffed mini pumpkins with goat cheese, ricotta, chorizo, and pumpkin seeds; and turkey stuffing ravioli served over cranberry sauce.” Sonoma has been promoting their Thanksgiving service in their email newsletter and by adding their Friendsgiving menu on their website, complete with suggested wine pairings. It’s not all about dine-in customers on Thanksgiving: some guests still want to enjoy the feeling of a traditional Thanksgiving meal at home, without the fuss of actually having to cook. If your kitchen is already fired up, you can attract more customers and reap additional revenue by offering Thanksgiving meals to-go. 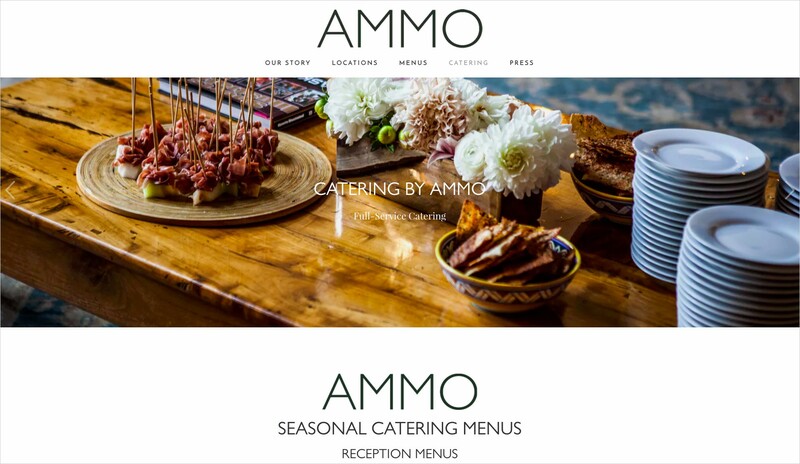 AMMO offers seasonal catering options on their website. Make it as easy as possible for your guests who want to take advantage of this option. Post your menu online well in advance, and have a catering form on your website so people can place orders directly. 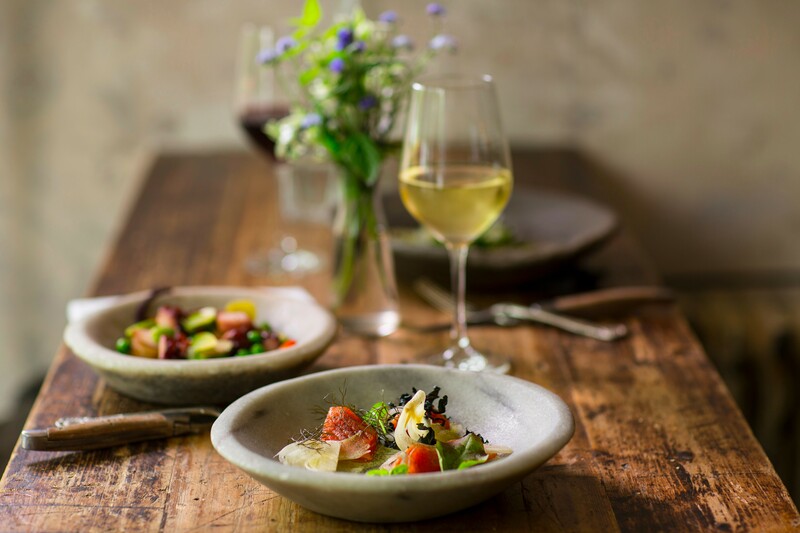 Be sure to clarify if you’re offering a set menu at a set price or different dishes a la carte; and let guests know if delivery is available or just pick-up. Order-wise, label everything clearly so diners can easily unpack at home and include utensils, just in case! Go the extra mile by including instructions on how to reheat leftovers at home, and consider including a few complimentary extras like festive cookies or petit-fours. Make your pickup orders just as memorable as you would make the in-house dining experience, so Thanksgiving customers will turn into repeat guests. If people don’t know that you’re open for Thanksgiving, they aren’t going to show up for it. Fortunately, there are a lot of easy ways to keep your guests in the loop. Craft LA's Thanksgiving Service was sent out in their newsletter. 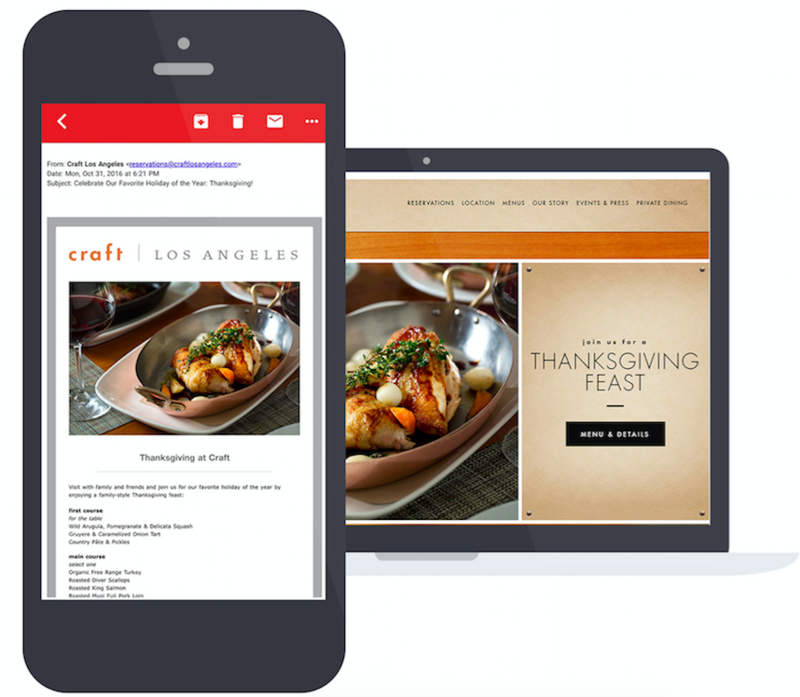 Put a little note card in the checks your staff drops in the weeks leading up to the holiday, have a Thanksgiving alert front and center on your website, promote your offerings on social media, add a Thanksgiving menu to your website, and send out an email to all of your loyal guests to ensure that your restaurant makes the most out of the holiday.